Jun Xiao is a jazz guitarist and composer from Dali, Yunnan Province in China. He is a D’Addario Artist and Corbin Artist and holds a bachelor’s degree from the Shanghai Conservatory and a Masters in Jazz Performance from SUNY Purchase Conservatory of Music. Xiao has performed as a member of Shanghai Conservatory Big Band at the Shanghai Jazz Festival, with the Shanghai Symphony Orchestra, Shanghai Philharmonic Orchestra, China Philharmonic Orchestra, and toured in China with Beibei, Tian Bai, Chris Trzcinskl Taihang Gao, Peng Ji and Danny Zanker, having performances at the Shanghai JZ Club, Jianghu Club, Ao Club, DDC Club and Jazz Huanglou. Xiao has also performed at the Shanghai Theatre Academy, accompanying world-renowned Broadway singers Michael Ball and Miss Saigon-Lea Salonga. Xiao has led his own groups in renowned clubs such as the Shanghai 288 Club and the Yuncai Club. His quintet was selected as one of the six finalists for the Next Generation Jazz Festival at the Monterey Jazz Festival. 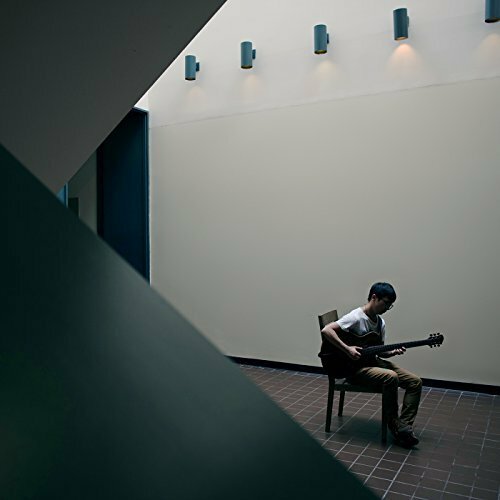 Xiao’s original composition “When I Practice with A Bee” was selected as the soundtrack in the upcoming documentary of guitar legend John Abercrombie. Xiao has released a two song EP called I Love Mathematics #1 consisting of two original compositions with Kevin Hays on piano, Alex LoRe on alto saxophone, Rick Rosato on bass and Jerad Lippi on drums. The first track is an intro to the main theme and track number 2, “I Love Mathematics #1.” The compositions start with a modern sounding intro that makes good use of time signatures. Xiao and LoRe play the angular melody over the intro groove as Rosato and Lippi hold down the rhythmic fortification. The melody and groove have a Jonathan Kriesberg vibe to it. Xiao’s tone is warm and has a fair amount of delay and reverb. After a nice interlude, Xiao begins his solo, methodically building his lines and musical ideas to a climax. Hays’ keyboard sounds match nicely with Xiao’s tone and the two interact throughout Xiao’s solo. Xiao’s skill as an improvisor is very mature and his sense of time and melodic shape is defined. Xiao’s two track Ep, I Love Mathematics #1 is an excellent introduction into the world of this up-and-coming guitarist. His compositional skills are clear and flow through many sections and feels in an organic manner that builds a musical story. With a full album scheduled to drop soon, he is certainly one to keep an ear out for. Stay tuned!